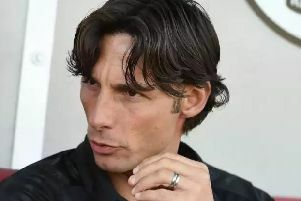 New Crawley Town head coach Gabriele Cioffi believes Reds have the potential to succeed. In his first week since being appointed, he has been impressed with what he has seen at training. Speaking to the Crawley Observer he said: “I like the players we have, it’s a good group, a good squad, we are missing two important players, Jimmy Smith and Romain Vincelot (both injured). “It is a healthy group. I am really happy about each one of them. It is a good base to grow, so I’m really confident. “Now it is a new book. I’m sure our results every week can be good because of what we did before the game, the preparation. “I have a long-term view that Crawley can be a tough team to beat. Former Birmingham City coach Cioffi has a playing philosophy based on determination, good football and being effective. He said: “Every coach likes the beautiful football. We have to be effective as well; try to play the better football as we can. Passionate, hard-working, never giving up.